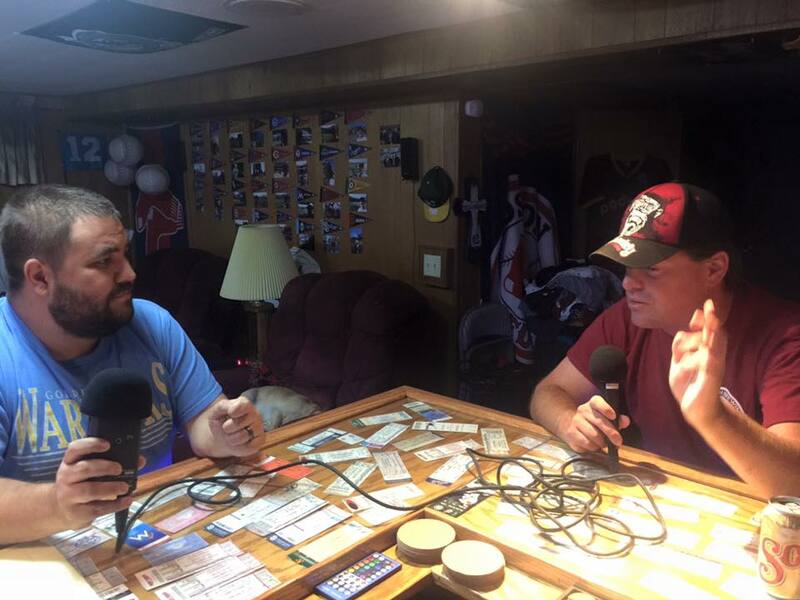 Chuck Booth is back to detail his 2015 MLB Ballpark Tour where he saw 224 games in 183 days. We record the podcast with Ken Lee as well from the friendly confines of Ken’s Manfish Brewing Mancave in Renton, WA. 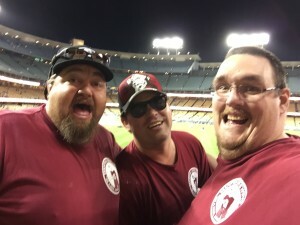 Chuck and Ken are pictured below with Tike Narry at Jake Arrieta’s no-hitter on 8/30/2015 at Dodgers Stadium. Enjoy!